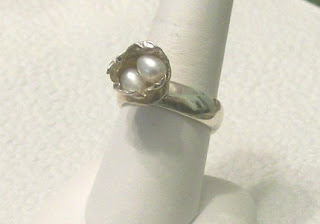 Harmony Metals created this sterling silver watercast ring with two freshwater pearls called "Twins in a Nest". 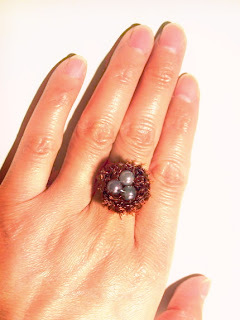 Midas Studio has an amazing nest ring which features a beautiful genuine round pearl nestled in sterling on a distressed band. 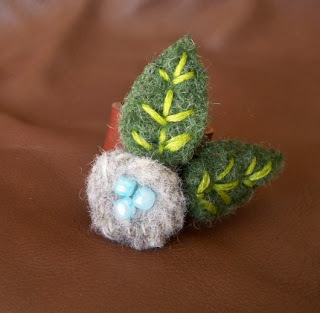 Angie Designs created a nest ring from glass beads, yarn & metal jewelry wire. 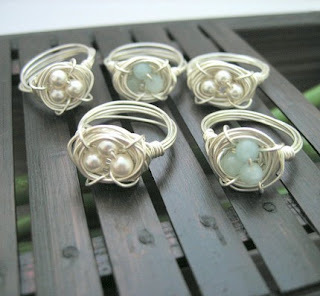 And lastly, but NOT leastly, is Starry Designs very popular sterling silver wire wrapped ring which comes with either Swarovski crystal glass pearls or Amazonite as the eggs. I really love those rings! what a neat idea, I'm thinking Mother's day! 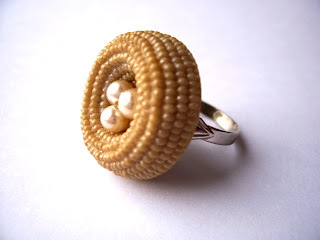 I just got my vintage button nest ring and I LOVE IT!!! It is the perfect marriage of my favorite things and it is so very "me!" Keep up the good work - your shop is great! 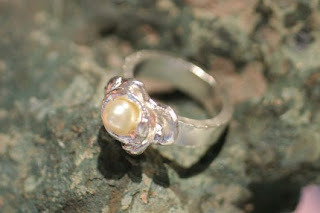 I am THRILLED that you love your ring Jerusalem! Thank you for your kind comments! !